Stainless steel bumper brackets to allow the fitment of small chrome 240Z bumpers on your 280Z. 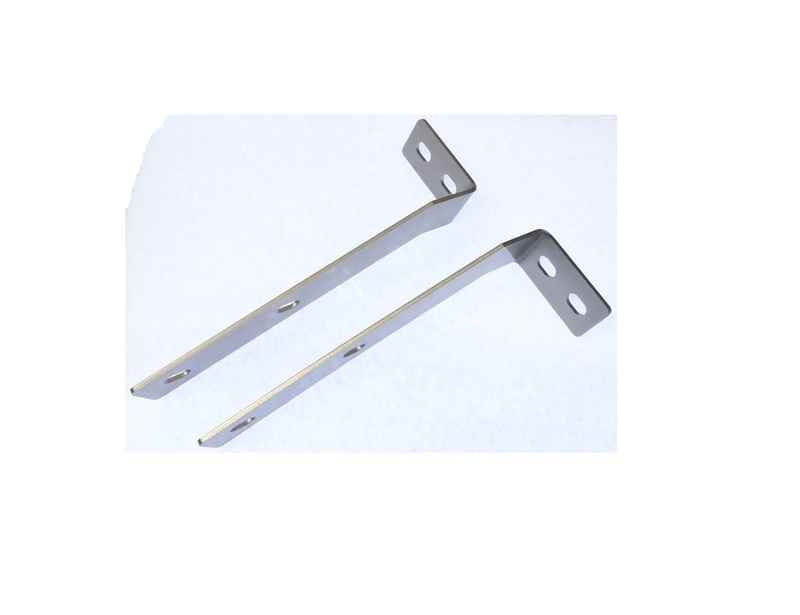 These brackets bolt to the stock mounting points on your 280Z body so that no modifications are needed to mount early chrome bumpers. Nope. They look similar though. Nice and clean, not like some you see advertised. Mine are 4mm Stainless steel SS316. 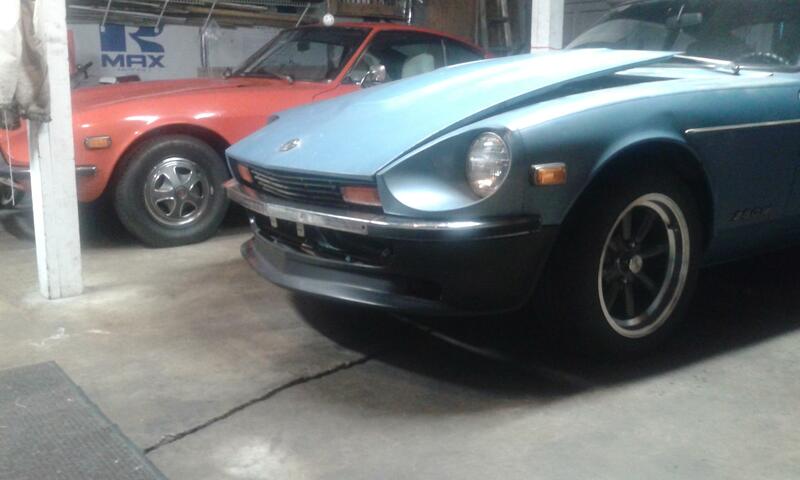 I make them, but went with another design for my car so I could use the full 240Z grill. They are pretty flimsy, made of very thin stainless. That said, the bumper from a 70-72 car is also pretty flimsy, so it's not a big deal. The fit is poor. Really quite poor. The bumper sits too high and way too far out from the body. I thought at first that I'd have to make the mounting holes larger, but after c-clamping the bumper where it should really be, I find I'll have to actually drill completely new holes. That's how far off it is. Maybe an inch or more. 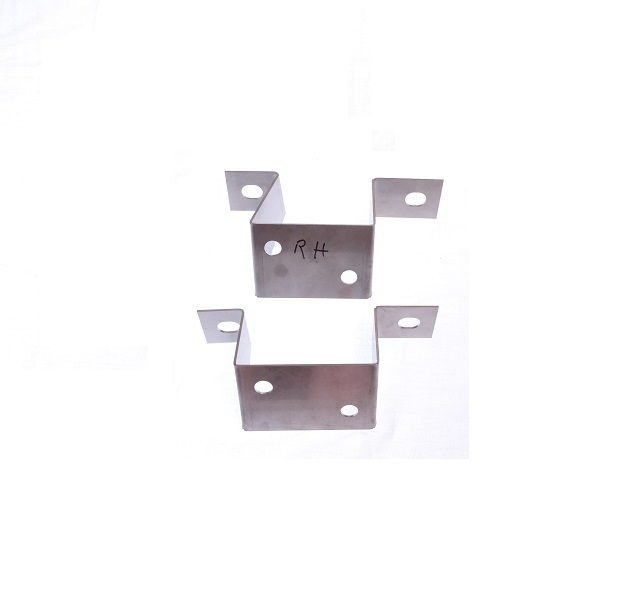 The general angle of the brackets is ok and they are a good starting point, but if I had it to do again, I would just look at the design above and build my own. These won't prove to be much less work when it's all said and done. I also bought a set of the rear bumper brackets. Here's hoping they are a better fit, as they would be much more difficult to modify. The ones I designed fit great on my car and one other I have seen in person. The rest are mostly foto's others have sent me once fitted. Having said that, I found quite a bit of variation in bumpers and mounting points on the different cars I measured. 5mm here and there can make a big difference in fitment. What's the bumper bolt size? 3/8"X1" I see option for far less at hotrod shops than the Z stores. Does anyone have the drawings for the conversion brackets so I can make them myself? Doing a '78 to '70 chrome bumper conversion. The bolts are metric. I don't remember the size. Hey EuroDat... any fitment issues using the full 240 grill? Are your brackets listed for sale? I want to use the full grill for better look and airflow for the SR20DET in my 81 280ZX smooth top 2+2. Could someone put a caliper to a bolt so I can get a rough estimate? I bought chromed bumper bolts from Jegs for my futofab.com bumpers. They were 5/16" x1" and would turn in the bumper's hole. I wound up buying Stainless carriage bolts from a local hardware store and buffed them to a nice shine. They look good. I also bought 240 brackets from Chaz, Eurodat, for my 280's conversion to the thin bumpers. The original 240 bumpers I had hanging in my rafters after buying the European style from futofab. They were a little rusty and had those bumper guards on them but look better than the huge bumpers on my '77. Me and another guy bought some together to cut down on shipping charges. EDIT: The photo below with the measurements is from when I "thought" about making my own. Those are Nissan brackets that I found on google/images. @EuroDat was much easier and quicker than doing them myself. Thanks again Chaz. @Bigstauf Ill send you a pm. @AdamSozay The original bolts on the front bumper are about M10x30mm. 3/8" should work too. Does anyone have a drawing for the rear brackets? Do they mount to the body. I have seen people say you can collapse the bumper shocks so the gas tank doesn't have to be dropped for the shock removal. True? Or can you mount the chrome bumper to the collapsed shocks? I have seen pics of rubber seals/bushings on the tips of the rear bumper to protect the quarter panel. Is this needed or are there other options like a simple rubber stand-off that can be mounted to the body and it hit's internally on the bumper, i.e. invisible. I'm just looking for "Lesson's Learned" to save experimentation time as much as possible. Do people recommend the urethane air damn or the fiberglass? I like the urethane myself, it'll give a little where the glass will chip and crack. I bought my Xenon from Jegs for 160 I think, free shipping too. I left the middle piece of the original front "scoop" under the Xenon to reinforce it. I ran it without that and it had a high speed flex-wobble. Put that back on and problem solved. Double check p/n's it's been a few years. Fiberglass mounts nice and is rigid. Doesn't deflect down with higher speeds. Fiberglass is unforgiving with curbs and side walks. Urethane is more forgiving with impacts but can be harder to take paint. You got me there Charles, mine's unpainted but I like that way. Some day when I have tree money I'll get it painted. I'm the same way, Cliff.